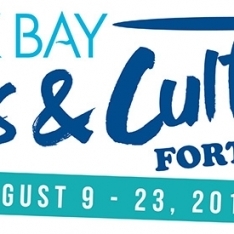 Oak Bay Arts & Culture Fortnight is an annual event celebrating Oak Bay as a premier cultural destination and highlighting the cultural vibrancy of the community. Free Summer Concert at Willows Beach Park featuring live music by Brandy Moore and the Nightcaps, welcoming speeches by Mayor Nils Jensen and Oak Bay Arts Laureate Barbara Adams, free cake and children’s face painting in the park. Family Dance Party, including stories, songs and games for children, . Free to attend, advance registration required through www.gvpl.ca. Join Oak Bay poets Gisela Ruebsaat and Susan Braley for an inspirational walk that will explore some neighbourhood ArtsAlive sculptures and finish at the library for poetry writing, sharing, tea and cookies. Free to attend, advance registration required through www.gvpl.ca. Free to attend. 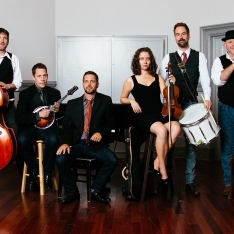 Join Victoria’s 14 piece Baroque String group for an acoustic concert. Bring your blankets and a picnic! Free to attend. Movie starts after sunset, approximately 8:45pm- arrive early to reserve your spot! Bring blankets, sweaters, and snacks. Check back in July for Movie title announcement. ArtsAlive Bus Tour: 10am to 12pm. Tour departs from and returns to Oak Bay Municipal Hall (2167 Oak Bay Avenue). Join Oak Bay Arts Laureate Barbara Adams and visual artist Robert Amos for a guided tour of the 2018 ArtsAlive sculptures situated outside of the Oak Bay Village area. Free to attend, advance registration required as bus seats are limited. To register, call Oak Bay Parks, Recreation, and Culture Reception at 250-595-7946 and request course #33768. ArtsAlive Walking Tour: 1:30pm-3pm. Tour departs from and returns to Oak Bay Municipal Hall (2167 Oak Bay Avenue). Join Oak Bay Arts Laureate Barbara Adams and visual artist Robert Amos for a guided tour of the 2018 ArtsAlive sculptures situated along Oak Bay Avenue and the Oak Bay Village area. Free to attend, advance registration required. To register, call Oak Bay Parks, Recreation, and Culture Reception at 250-595-7946 and request course #33769. Free to attend. Featuring live music by Black Angus, and opening act Aurora Smith Trio. Giant puppets on site and puppet making craft for children by Tim Gosley. Oak Bay Archives exhibit in Municipal Hall foyer (2167 Oak Bay Avenue) with focus on the history of local Arts & Culture. Free to attend, Municipal Hall is open Monday to Friday, 8:30am-4:30pm.